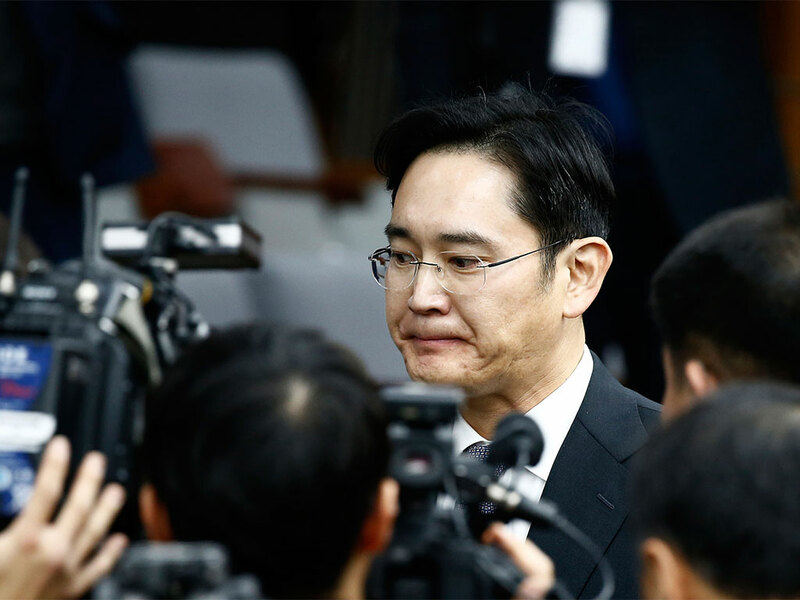 Samsung heir Lee Jae-yong has been formally arrested on charges of bribery, embezzlement and perjury in connection with the ongoing political corruption scandal currently gripping South Korea. In December, President Park Guen-hye was impeached by the South Korean National Assembly, amid accusations of influence peddling by top aide and close friend Choi Soon-sil. Although Lee, the son of current Samsung Chairman Lee Kun-hee, has been quizzed multiple times by prosecutors over his rumoured collusion with the South Korean President, his arrest marks the first formal step towards prosecution in the high-profile corruption case. With just 20 days to file formal charges, prosecutors are now investigating Lee’s donations to political aide Choi. The Samsung Electronics Vice Chairman is accused of providing up to KRW 43bn ($36m) to Choi, in exchange for government support for his succession plans. In recent years, Lee has been looking to consolidate his control over the electronics giant, and has largely lead the sprawling conglomerate since his father was hospitalised with a heart attack in 2014. With news of Lee’s arrest and possible prosecution, however, the Vice Chairman’s ascent to the top job could now be in jeopardy. While Lee personally stands accused of collaborating with the President’s aide, evidence shows that company funds were also used to make donations to Choi’s numerous personal businesses and non-profit foundations. These overseas foundations were then used for personal gain, including bankrolling Choi’s daughter’s equestrian training. According to prosecutors, Samsung was the single biggest donor to Choi’s foundations, although several other top South Korean firms are also implicated in the scheme. In return for these substantial donations, Choi allegedly ensured state approval for a controversial 2015 merger of two Samsung units – a move that significantly bolstered Lee’s succession plans. South Korean special prosecutors also accused Lee of hiding assets overseas, in addition to lying under oath during earlier rounds of questioning. Lee and the wider Samsung group deny any wrongdoing, and maintain that the company is in no way involved in President Park’s political corruption scandal. Lee is the first executive in Samsung’s 79-year history to be formally arrested on political charges, and the trial is a significant blow to the company. In recent months, the world’s biggest smartphone maker has been attempting to recover its brand image after a botched debut of its Galaxy Note 7 smartphone, which was ultimately discontinued after a battery malfunction caused numerous handsets to catch fire. The ensuing global recall is rumoured to have cost the company up to $17bn, but the damage to its reputation may prove even more costly, while its implication in a corruption scandal is yet another source of embarrassment for the conglomerate.